Who is the old Christmas witch seen in Italy and what is her connection to the Three Wise Men? If you visit Italy around Christmas time you may notice shops and Christmas markets selling stockings with, what appears to be, smiley witches on them. This is “La Befana”: an old lady, whose legend goes back to 13th century Italy, and probably before. One of the commonly heard stories is that one day the Three Wise Men (Magi) came to Befana’s door, while on their journey to find the baby Jesus. She was considered the best housekeeper in the village, and so her home was the cleanest place for them to stay the night. The following morning, they invited Befana to go with them, but she was too busy sweeping and cleaning her home. She later regretted not going, however, so with broomstick still in hand she decided to take gifts for the new baby. She flew from place to place on her broomstick, but never found him. Each year, on the night of January 5th, Befana sets out on her broomstick wearing a black shawl and broken old shoes, to visit every house where there is a child, leaving them gifts. In the morning children find sweets in their stockings if they are good, or a lump of coal if they are bad. Many Italian sweet stalls sell dark coloured sweets to represent coal and all children will get at least one, as they have probably been naughty at some point during the year. Mothers will often thoroughly clean their homes before Befana arrives. If they don’t, Befana is likely to notice and sweep it herself. The old lady uses the same method of entry to children’s homes as Father Christmas (Babbo Natale), which is why she is often seen with chimney soot on her clothes. In some cities, she may also make an appearance in Piazzas, with other people also choosing to dress up like her. In Rome, you will spot her all-round the city with lots of entertainment for the children on the 6th January. The home of the real Befana, is now considered by many to be, in the village of Urbania in the Marche region. Each year they hold a Festival in her honour (4th-7th January 2017) with music, entertainers, lights and hundreds of stockings hung in the windows. On the 6th January is the Cavalcade of the Magi (Three Wise men). In Christianity, this day is the feast of the Epiphany, the 12th day of Christmas, marking the end of Christmastide. In my local town, the Magi lead a procession through the streets on horseback followed by people from the living nativity scene. They proceed to the Nativity where they present their gifts to the baby Jesus. The whole scene transports visitors back in time, as you stroll past people dressed as villagers, demonstrating old crafts such weaving, pottery and shoe making. 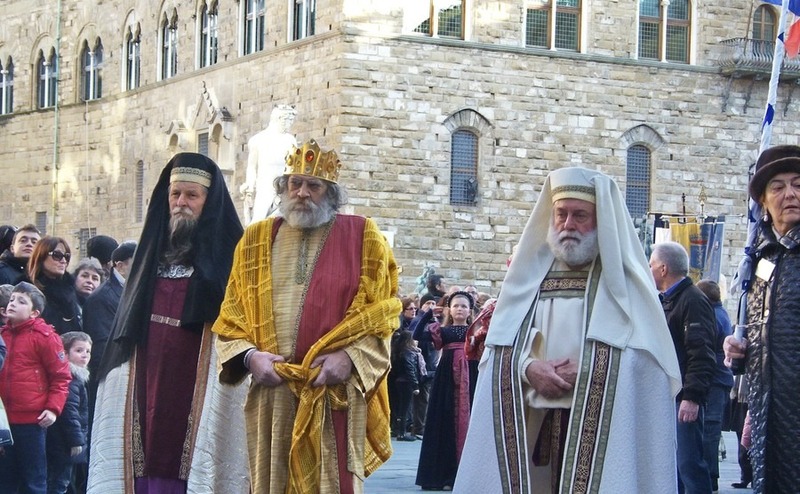 Many towns across Italy have processions of the Magi. 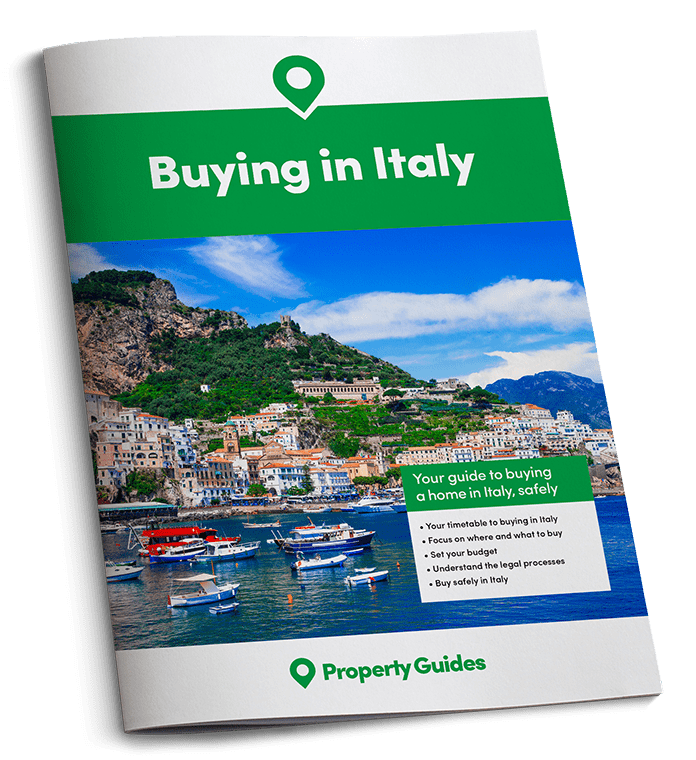 The one in Florence dates back to 1417 with a cavalcade of over 500 participants from all over Tuscany including horses and flag wavers, creating a charming historic atmosphere. In Rome, the procession leads up to St. Peter’s Square with thirteen hundred people in costume, with horses and a roman chariot. You don’t need to be religious or Italian to appreciate the history and tradition behind the many fun events that are put on free of charge, to entertain and bring people together.